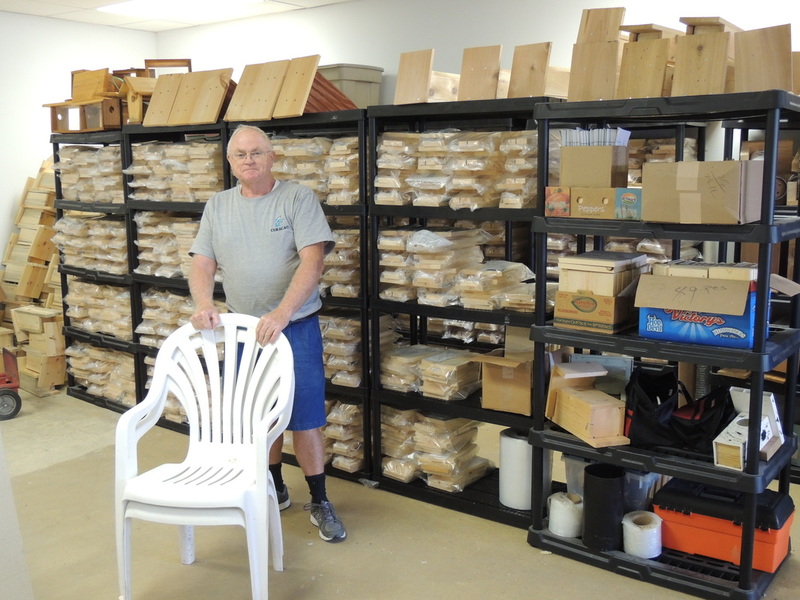 BSP Woodworking Chairman Dale Cook Plans Nest Box Kit Assembly Event. 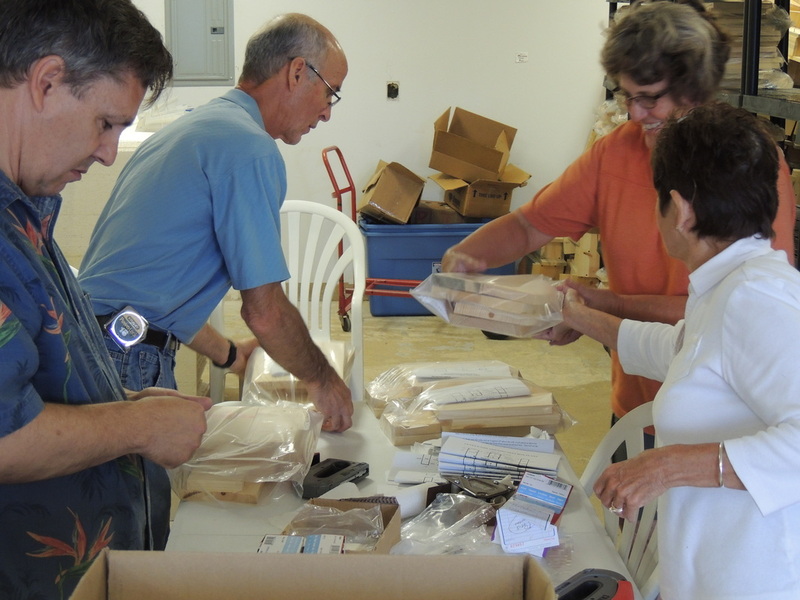 Parts for the kits were cut out by members from counties across the State such as Adams,Clinton, Chester, Cumberland, Clarion, Dauphin, Franklin, Lancaster, Perry and York. The parts were brought together and we made two assembly lines. The work flowed smoothly. Work started at 9:00 am and we were finished at 1:00 pm. There was an early morning snack of coffee and Amish Pastry followed by lunch at noon of rotisserie chicken fingers and club sandwiches. 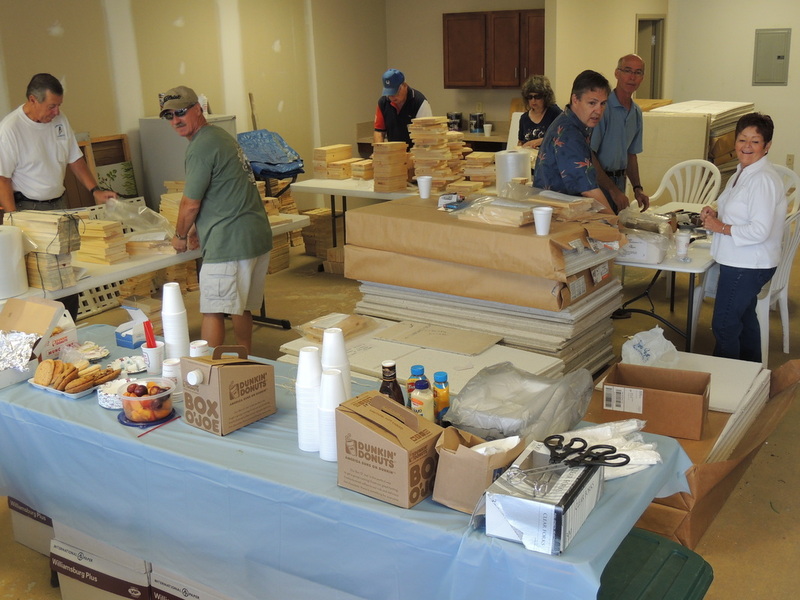 At the completion of the kit assembly we cleaned up and consolidated our supplies. New friends were made and faces can now be associated with what was before just a name. Interesting stories were shared by all and tips given on monitoring and maintaining a bluebird trail. 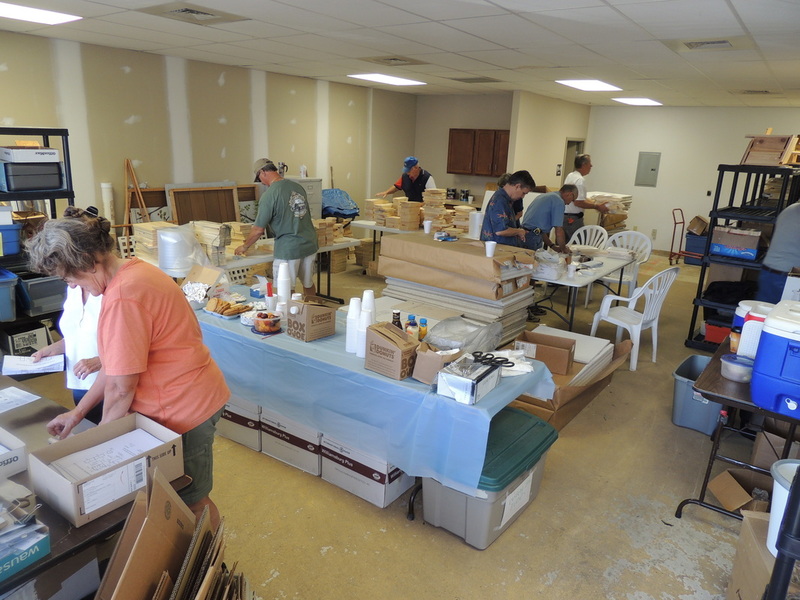 The total count was 517 kits assembled, 7,300 screws bagged,1034 assembly sheet instructions and habitat and mounting information sheets folded and placed in each nest box kit. Thanks to everyone for making this event a success and the Bluebirds Thank you too.